You know that food coloring is horrible to ingest, but did you know that the same effects can happen just by allowing it to touch the skin? The skin is the largest organ and acts as a sponge to anything that can be absorbed. 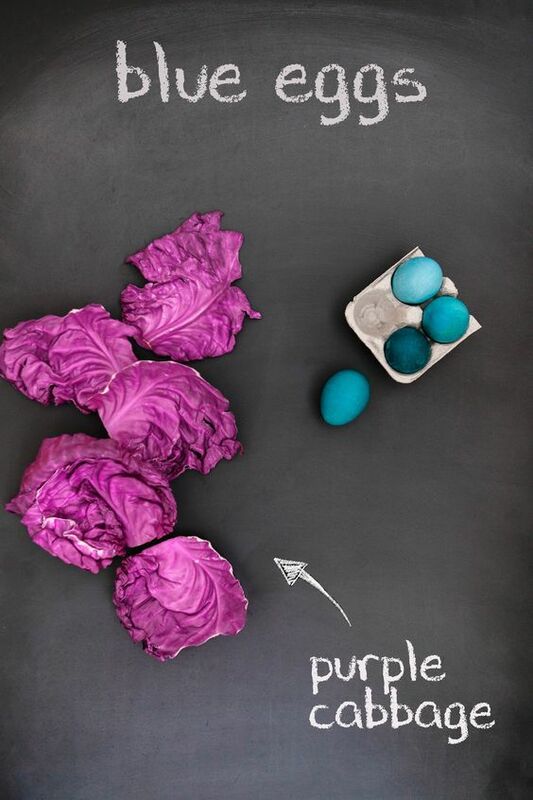 Did you know that the dye seeps through the shell of the eggs and will be eaten along with the hard boiled eggs? Yep. That's right - you may think you are just decorating the eggs, but reality is that you are allowing the dyes into your children (or yourself). 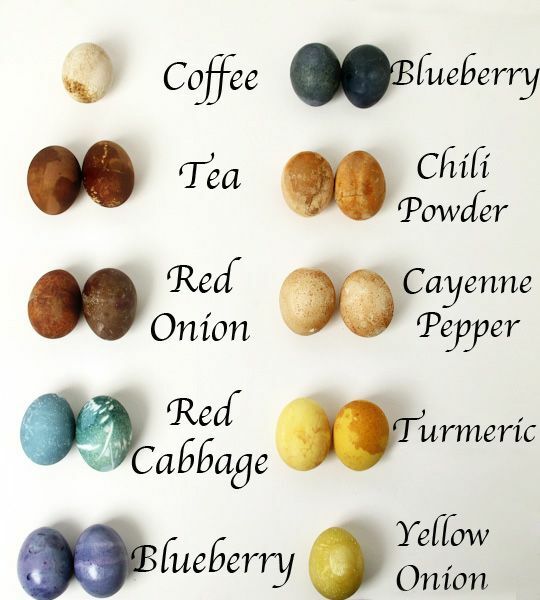 You can still dye the eggs using natural methods, but I'd suggest combining this method with strings, stickers or something to give it a little more pop! Washable Paints: Allison from No Time for Flashcards makes it easy for kids to color eggs in a plastic bag! Just squeeze in some washable paints with the egg and shake up for little-to-no clean-up for parents! Melted Crayons Easter Eggs: If you love the melted crayon look, check out how A Thrifty Mom creates bright, beautiful eggs! 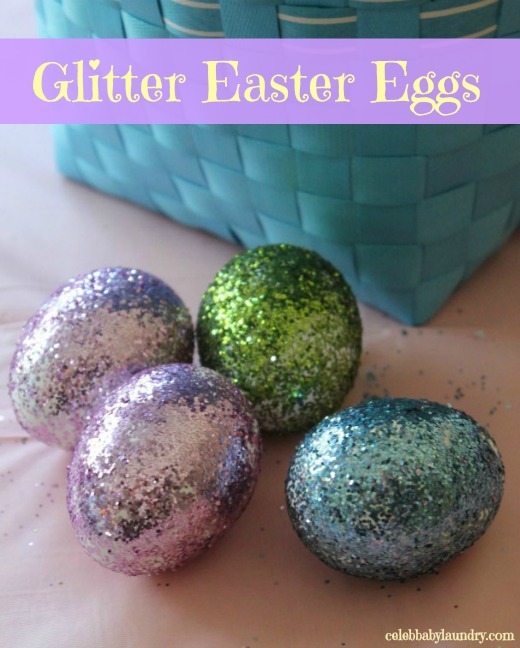 Decoupage Eggs: Oh the toddlers will love tearing up tissue paper for this one! 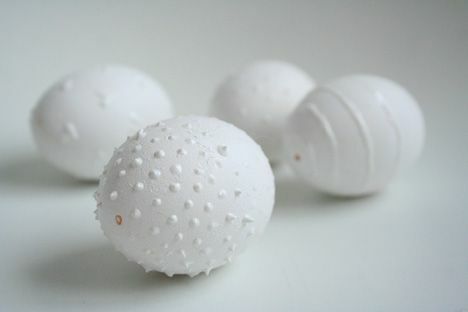 Puffy Eggs: Using puff paint, kids decorate their eggs and let them dry. You can paint them anyway you'd like afterward! 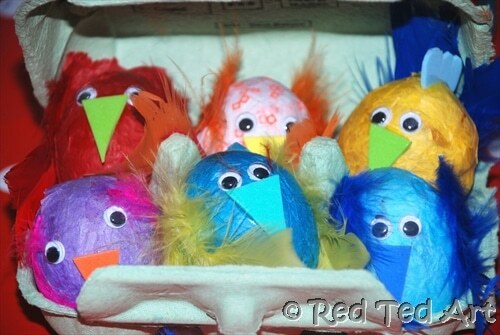 Bird Eggs: Grab the feathers, google eyes, and everything else craft-related for these fun eggs! According to the FDA, in 2007 Americans were consuming five times more artificial food colorings than they were in 1955. That number in no way has decreased in the last decade. The Food and Drug Administration has approved the use of these dyes, even as they are band in other countries across the world due to their significant side effects. Countries throughout Europe have banned food dyes and insisted on strong labeling with warnings including all health risks to these dyes. But yet, here in the United States we not only promote the use of dyes, but they are included as ingredients within our health-boosting supplementation and medications. Blue Dye No. 1 can cause hyperactivity, skin rashes, bronchoconstriction – especially when combined with other artificial colors- and chromosomal damage. It may also cause issues with the gastrointestinal tract while inhibiting cell respiration and lead to ADHD, asthma, and other allergic reactions. (This dye is banned in Austria, Belgium, France, Germany, Norway Switzerland, and Sweden.) New studies show that Blue Dye is also absorbed through the skin. Green Dye is linked to tumors and gene mutations in test animals. It can cause allergy-like reactions, hyperactivity in children and potential cancer. Asthmatics and those intolerant to aspirin are at increased risk of a reaction to this dye, which is prohibited throughout Europe. Yellow Dye No. 6 is linked to hyperactivity, allergic reactions, nausea, and nasal congestion. It is often used in medications and supplements Yellow Dye #6 is banned in Finland, Norway, and the UK. Unfortunately, these reactions and their connections to artificial food dyes have largely been dismissed by the FDA. In 2004, an analysis of fifteen studies found evidence that artificial colors worsen the behavior of children with ADHD. Even after studies found that artificial dyes affect the behavior of children without behavioral disorders, the FDA continues to deny any significant link between food dyes and behavioral problems. By eliminating food dyes and food additives, studies have continuously shown increased improvements in children’s behavior.